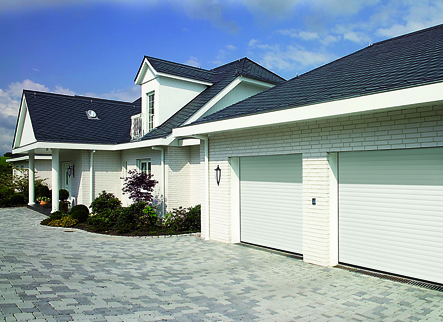 Sectional doors can slide into the roofspace or can slide sideways against your wall. 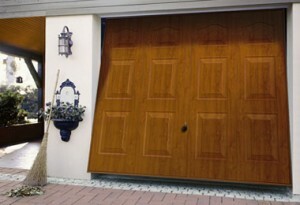 This type of door offers a close fit and high security. 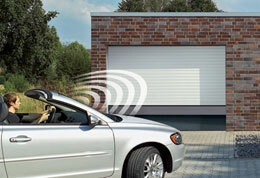 Roller doors are controlled by a remote with electric movement. 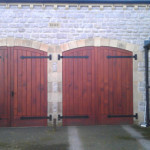 These doors offer high levels of security and are perfect in tight spaces. 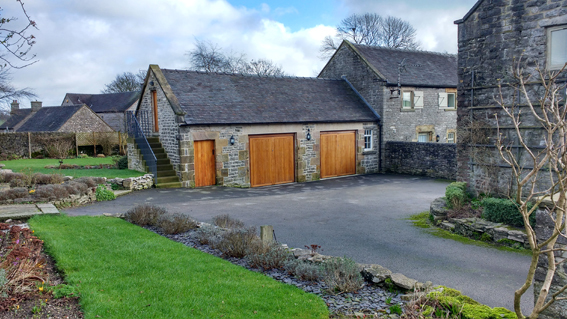 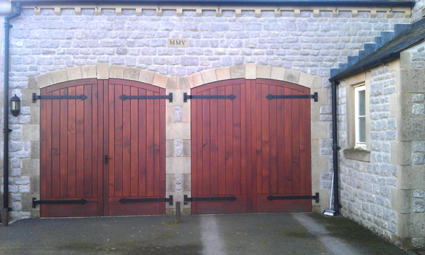 Whether you're looking for front and back doors for your home, or a side entrance for your garage, we have a wide range of styles to suit your needs and budget. 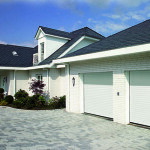 Up-and-over doors are the more traditional type that slide into your roofspace. 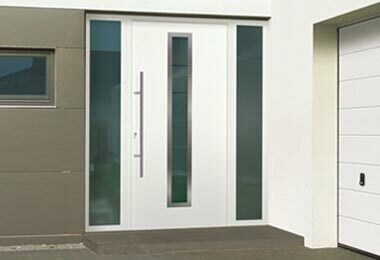 This type of door is available in a wide range of materials and colours. 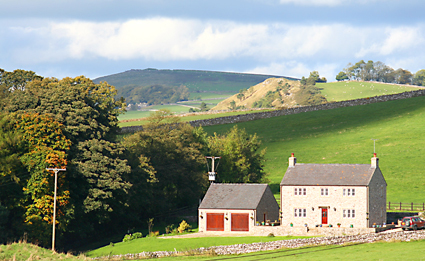 Call for a free printed brochure or no obligation home visit. 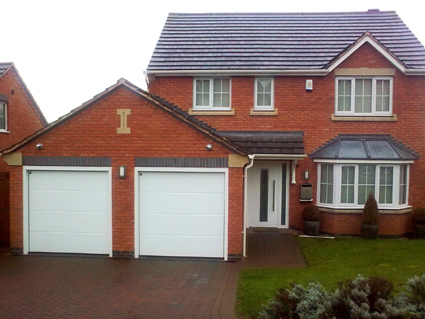 We don't employ salesmen - we'll simply provide you with a quote. 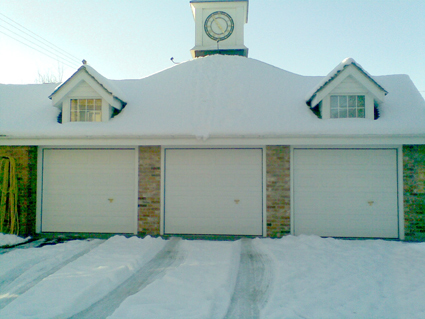 "Excellent product fitted with no fuss and no inconvenience"
We have 25 years experience installing garage doors as an established local company. 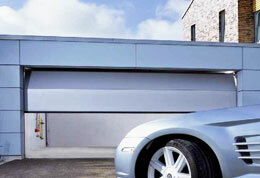 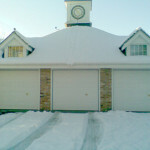 We source the best garage doors to suit you - we're not tied in with single manufacturers. 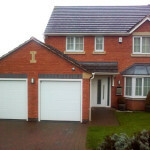 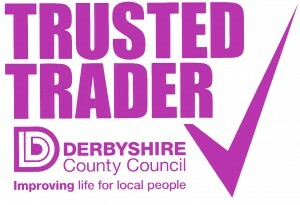 We pride ourselves on the quality of our work, and promise to leave your home clean and tidy. 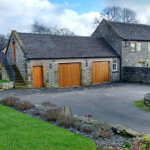 Quotations and brochures are free - simply give us a call for a chat!